This was our son's first Halloween and we wanted to do something fun, cute, and special. Thaddeus loved Disney songs while in the womb, so I thought it would be fun to do something Disney. 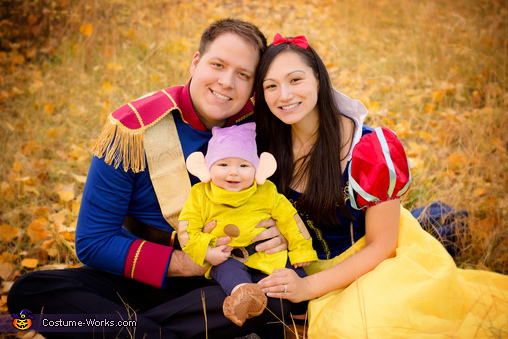 There were many ideas that I went through, but in the end, I loved Snow White (me - Mama), Prince Charming (my husband/Papa), and Dopey (our son Thaddeus) the best! The Dopey costume was adorable and my mom had always called me her little Snow White. It was perfect! Plus, the costumes (from Amazon) were very affordable. We had so much fun making people smile around town!